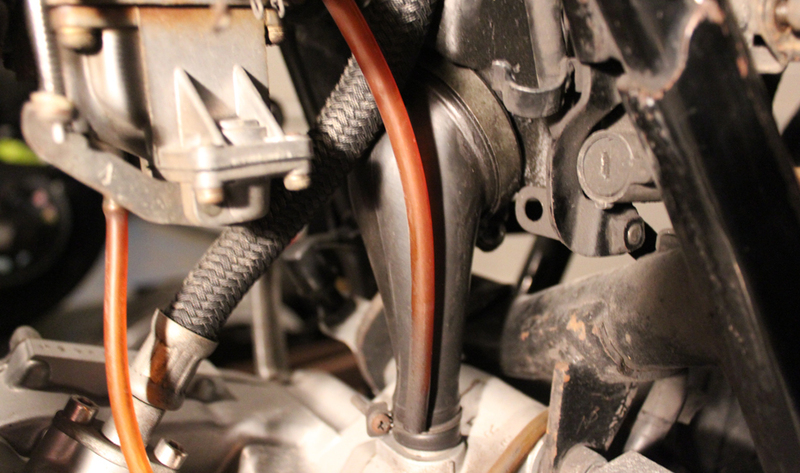 1h30 tonight to empty the oil from the engine and go on with the air box. 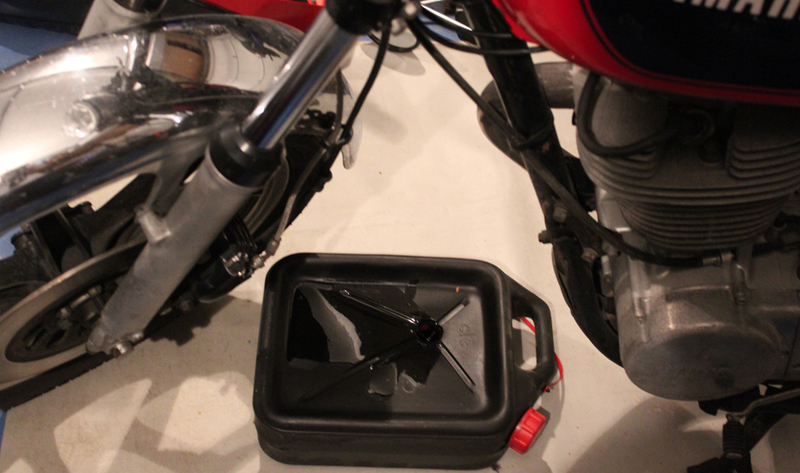 The oil is blocking at this point, after it, I’ll be able to remove the tank and and get easier access below. It has been made by an anstralian, Marlon. 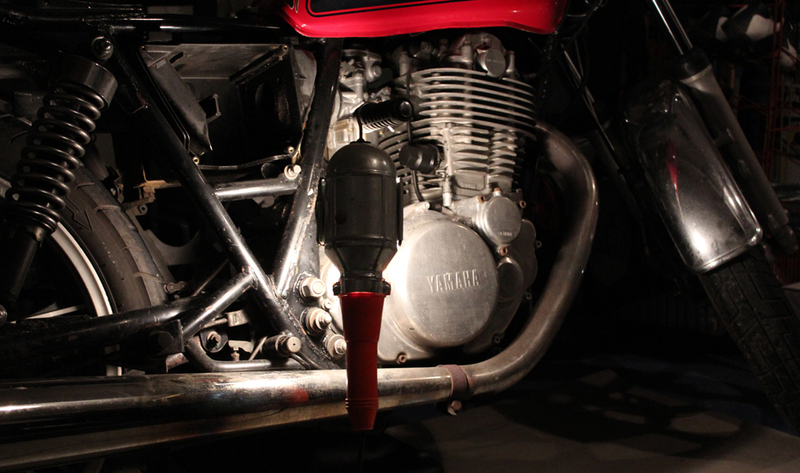 Here is his blog http://www.sr400cafe.com/. I love it, his bike is really good looking (I think I’ll get some part like he has). Cheers mate for your video, really helpful! 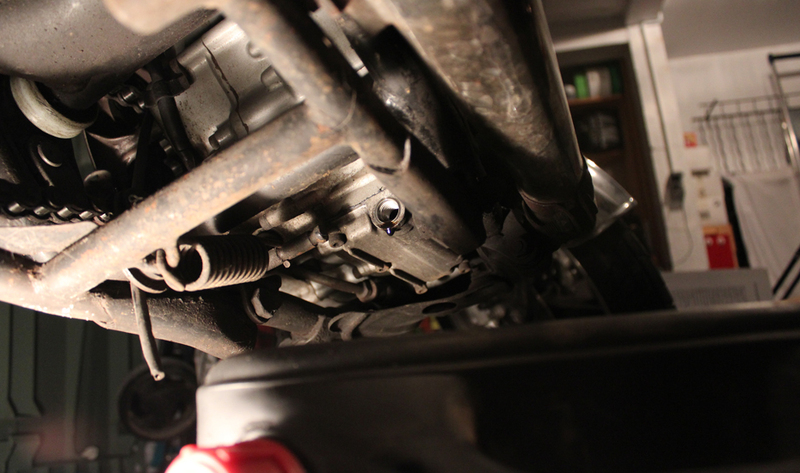 Ok, so here are the screws to empty the oil. 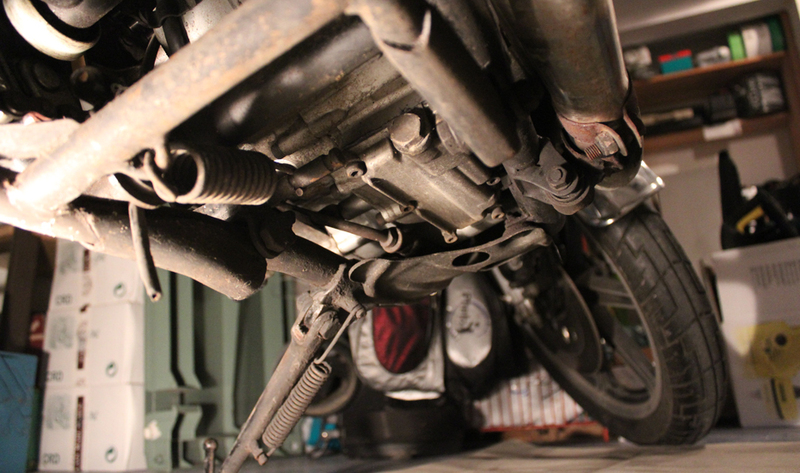 Bike on the side stand, easier access for now. Watch out not to burn with the exhaust, and let’s do it! 5 – 10 minutes break then I put the screw back. It allows me to use the same box for the frame. 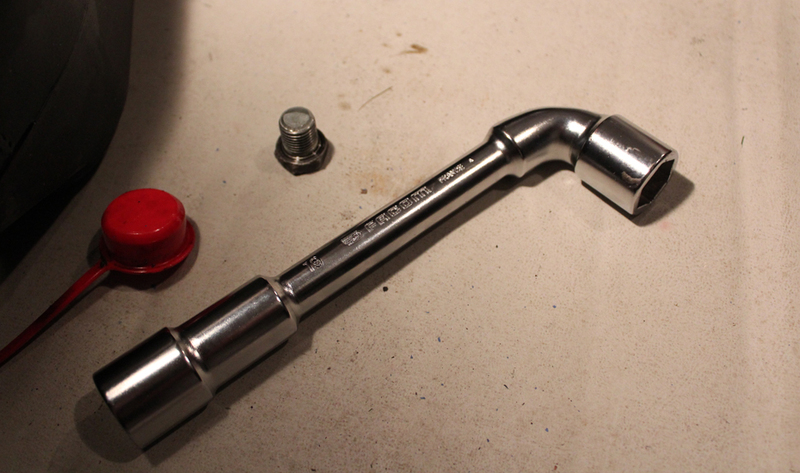 Of course, I had plenty of oil on the hand when removing the screw but nothing on the ground \0/, nothing to clean up. 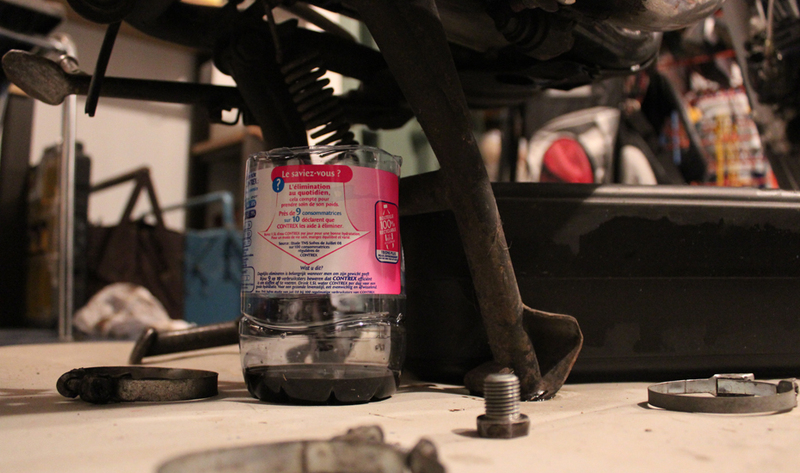 I put the bike on its central stand, a bottle under the engine and it’s gonna sleep as it. 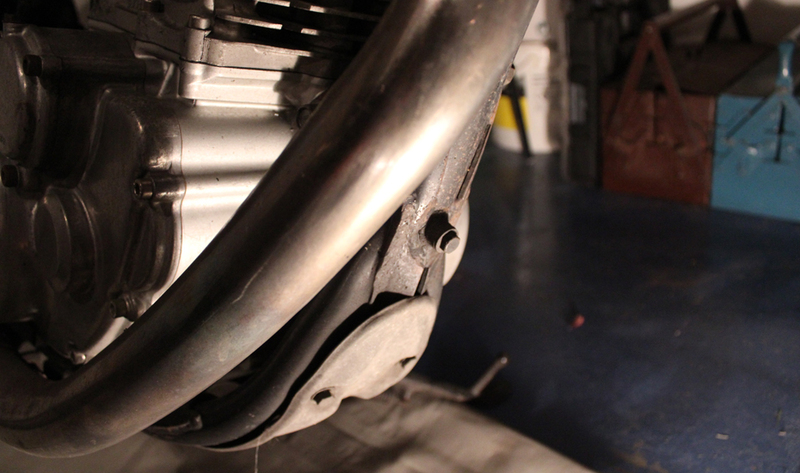 I took the air box collars and the screw below the seat off. Still nothing, I’m gonna read the documentation again and I’ll finish next time. I think there is a screw below the tank so I clean everything and we’ll do it another time. Last pict for the day.